The Livingstone Art Gallery is run by the National Arts Council of Zambia through the Southern Province Branch of the Zambia National Visual Arts Council. It provides a modern space for exhibitions of contemporary Zambian art. 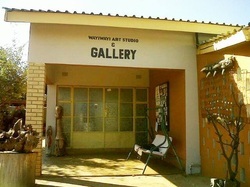 Most of the artworks exhibited at the gallery are for sale and the gallery will from time to time host different arts programmes; including local and international group and solo art exhibitions.